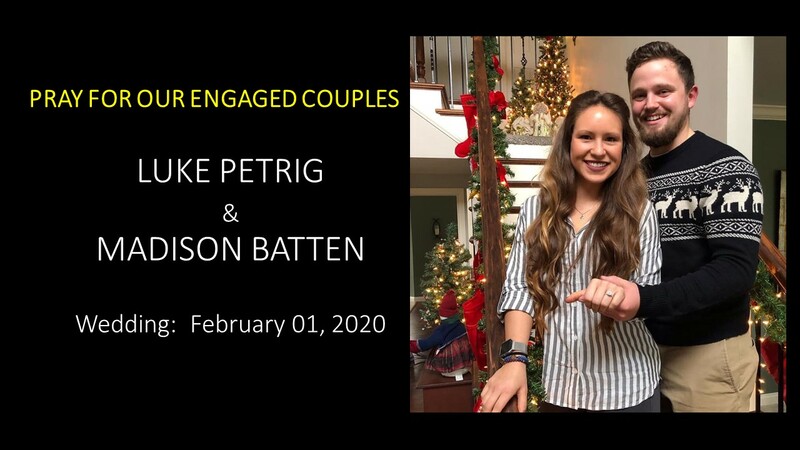 Contact Parish Office (812) 477-5405 at least six months prior to anticipated wedding date. 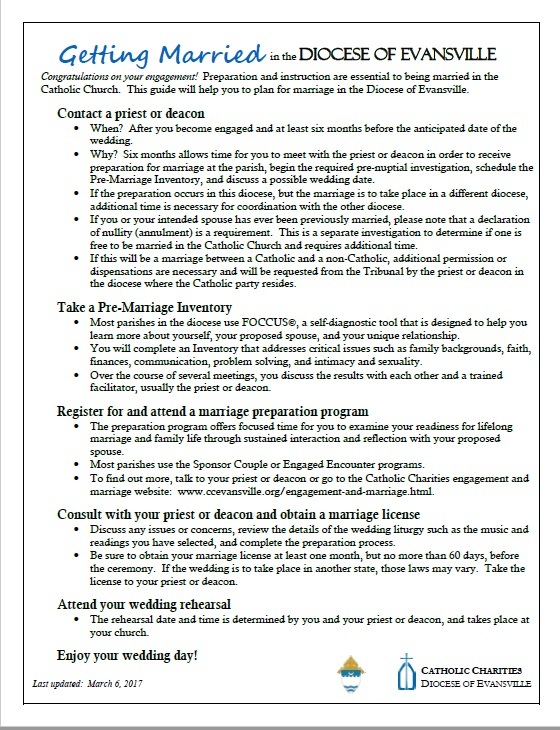 These documents draw from the current Diocesan Marriage Policy. 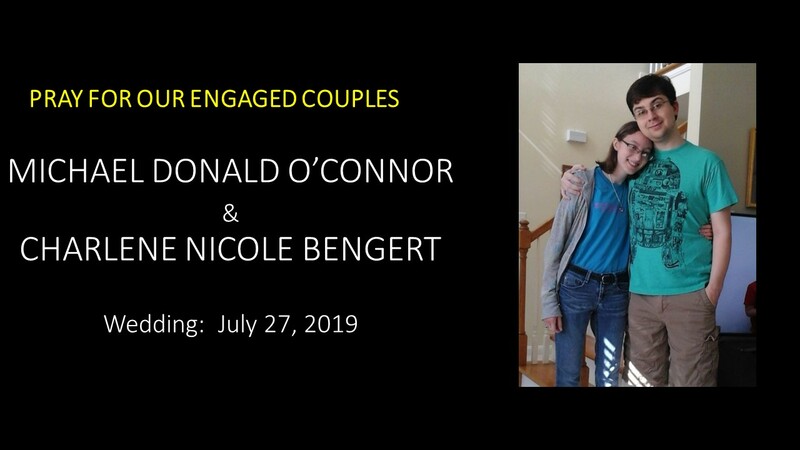 All engaged couples are encouraged to view both documents at the diocesan marriageministry webpage: www.ccevansville.org/engagement-and-marriage.html. Completion of FOCCUS survey with Father Zach. 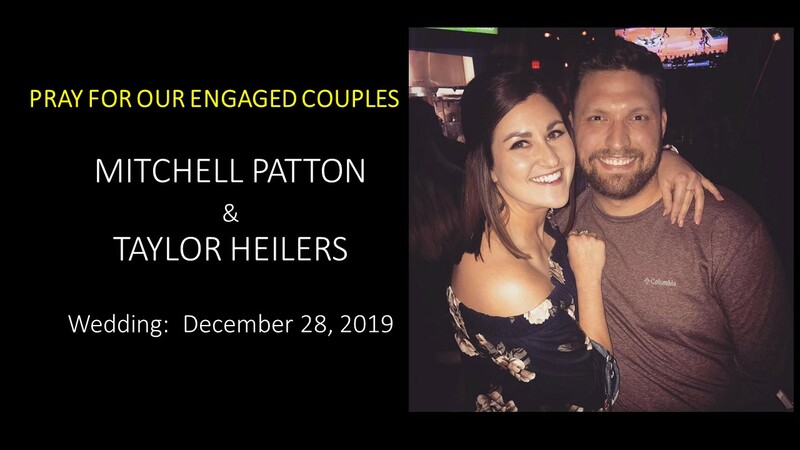 Participation in either the Joy Filled Marriage Mentor Couple program https://shop.ascensionpress.com/collections/joy-filled-marriage sponsored by our Good Shepherd Catholic Parish or the Unveiled marriage prep weekend (https://www.ccevansville.org/unveiled.html) sponsored by our Diocese of Evansville. Convenient: They will be presented across the diocese, one class per month. They are approximately 45 minutes in length, with the opportunity to ask questions of trained professionals. 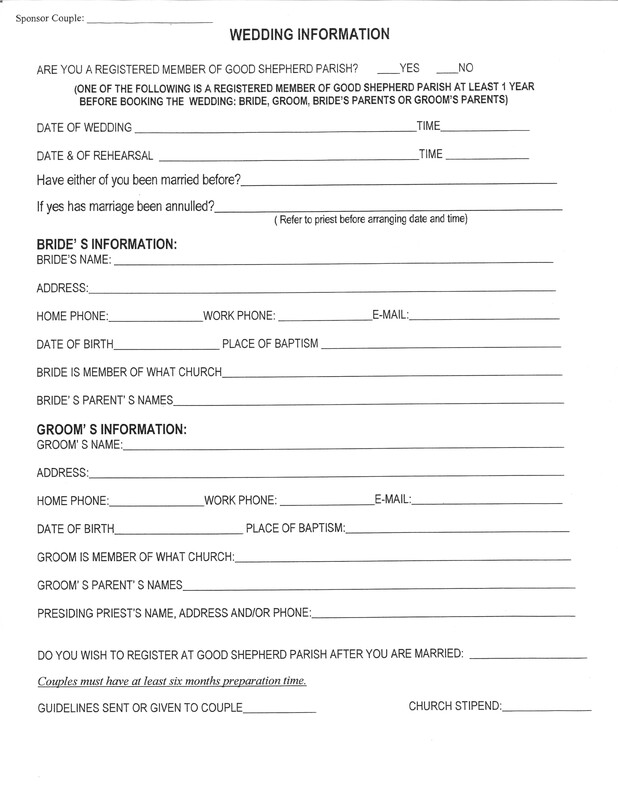 Before setting a date and paying a deposit, please contact the parish office to discuss Marriage Preparation with Fr. Zach. 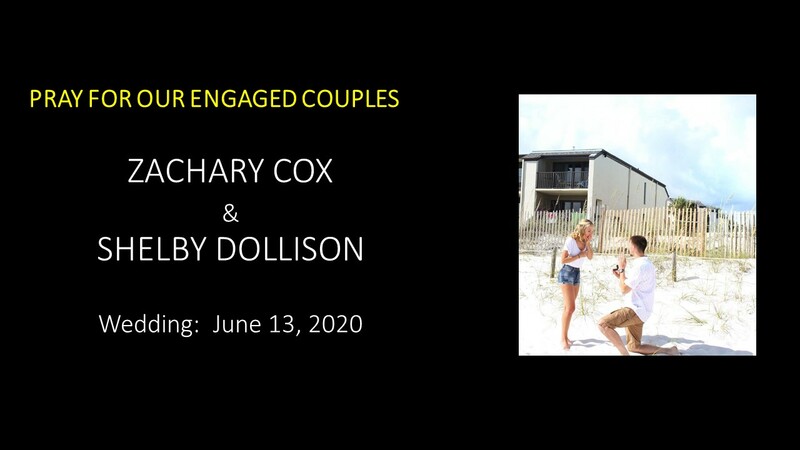 No wedding dates are final until completion of first wedding prep session and FOCCUS survey. The Catholic Church provides a series of guidelines by which we determine the suitability of music for worship. 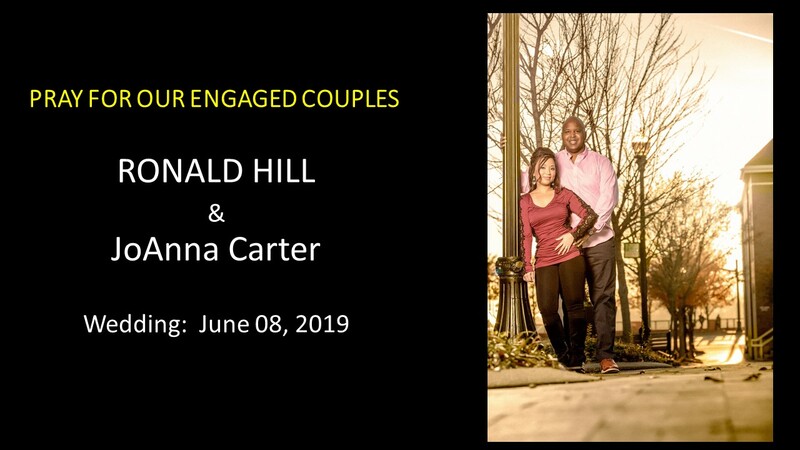 To ensure your desired music selections will enhance the dignity of your Christian marriage ceremony, please contact Melanie Baker, Director of Worship, at (812) 477-5405, extension 255 for consultation and final approval. Cost of musicians and singers available upon request. No alcohol in the church either the night before or day of the wedding. Aisle runners are required if your flower girl plans to drop real flower petals on her way down the aisle. Unity & Memorial candles, small floral arrangements, and mother’s candles can be placed on the table near God’s Treasure Box. Good Shepherd Church does not supply these candles or holders. The two altar candles must remain by the altar. All candles used for the ceremony must have glass chimneys. All seasonal decorations/flowers, such as Christmas and Easter, must remain up throughout the liturgical season. The Christmas season is from Christmas until the Baptism of Jesus, the third Sunday after Christmas, and the Easter season is from Holy Saturday until Pentecost. Greenery and flowers currently being used in the church must remain in place. Any changes must be approved through Father Zach. Unless there is a scheduling problem (i.e. a funeral Saturday morning), you may arrange to set up any special decorations Friday afternoon. Please schedule a specific time with the parish office staff for entrance into the church on Saturday. Any decorations used in church during your wedding must be put up by you and taken down by you before Good Shepherd’s Saturday evening Mass (4:30 pm). The time of your wedding ceremony can be no earlier than 12:00 PM (noon) or later than 1:30 PM. Smoking, eating, and drinking, especially alcoholic beverages, are NOT allowed anywhere inside the Church building.